Whether the Fire Phone's operating system is right for you depends a lot on personal taste and how much of your digital content you buy from Amazon, but the solid build quality, premium looks and snappy overall performance will appeal to anyone. And so will the image quality of the camera module. Its very efficient optical image stabilization helps capture low-light images with better detail than many competitors and keeps things steady when shooting video. Unfortunately the camera app is a touch too simple for our taste and offers very few options and no customization whatsoever. As you can see in the cons list above it also comes with a few ergonomic quirks that hopefully should should be ironed out sooner or later. Out of the two special modes HDR is working efficiently but panorama mode could do with a software upgrade to improve stitching quality and ghosting on moving subjects. 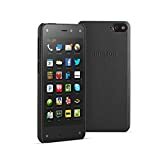 Overall, thanks to its very decent image quality across the ISO range, the Amazon Fire Phone can be a true alternative to the more established iOS, Android and Windows Phone competition if you have no objections to using the Fire OS. The relatively compact dimensions will be viewed as an advantage by many users as well but if you like at least a degree of control over the picture taking process and a good quality panorama mode you'll find yourself shopping for third party apps in the Amazon App Store pretty soon. The Fire Phone comes with a very limited imaging feature set compared to most competitors. With HDR and panorama mode it does offer the bare essentials but the results of the latter cannot keep up with the best in class. The only other function, lenticular mode, is at this stage little more than a gimmick to show off the phone's Dynamic Perspective technology, and video shooters have to make do without 4K or slow motion options. The camera app is not only short on features but doesn't offer any shooting options or advanced settings either, not even for image size or video resolution. It is as simple as it gets which works well for occasional camera users but won't satisfy more serious mobile photographers. Of course you can download and install more comprehensive camera and editing apps from the Amazon App Store but if you have specific favorites check beforehand as the selection is not as large as Google Play's. There are ways to side-load Google Play apps but it's a slightly involved process and there is no guarantee they will work on the Amazon device. On the upside the camera app's simplicity means you can fully focus on framing and subject though. The Fire Phone image output shows good exposure and reliable white balance across the ISO range. Color tends to be quite saturated which is common for smartphones and results in an appealing but slightly unnatural look. As with all small-sensor cameras dynamic range is quite limited but in line with other high-end smartphones. In good light luminance noise is visible in areas of plain color and shadows but on the upside the images show very good fine low-contrast detail with less blurring of fine textures than most competitors. The Fire Phone maintains its well-balanced approach to detail and noise reduction up to the highest ISO settings and thanks to the fast F2.0 lens and efficient optical image stabilization the Amazon device can get by with lower ISO values in dim conditions than the unstabilized competition, resulting in low light images that are among the best in its class. The camera is capable of capturing meaningful exposures even in very dark scenes, making the Fire Phone one of our favorite mobile devices for night photography thus far. As you would expect, detail suffers in low light and there can be a lot of noise in shadow and mid-tone areas but at smaller viewing sizes and for online-sharing the images are still more than usable, even when taken hand-held at night. Overall the Amazon Fire Phone produces decent image quality in most shooting situations. It cannot quite keep up with the large sensors in the Nokia Lumia 1020 or 808 but is among the best devices with conventional imaging modules. Thanks to an efficient optical image stabilization system and well-balanced noise reduction the Fire Phone produces image quality that rivals the best small-sensor smartphones, especially in low light conditions. However, the imaging feature set and options are very limited making the device, at least out of of the box, most suitable for point-and-shoot users. 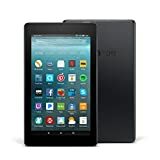 For those mobile photographers who are happy to expand feature set and shooting options through third-party apps and think the Fire OS operating system suits their needs, the Amazon device can be a real alternative to more established rivals such as the new iPhones, the Samsung Galaxy S5 or Sony Xperia Z3. In bright light the Amazon Fire Phone's exposure is good, images show good detail and the autofocus is fast. However, white balance is not always reliable and a few lens artifacts are noticeable in backlit scenes. In low light conditions detail is being blurred by noise reduction and noise levels are high. In video mode the Fire Phone the recorded footage shows "good overall exposure for scenes with static lighting conditions and good color rendering even in low light conditions". The testers also found the optical image stabilization system to work very efficiently when shooting hand-held. On the downside, the "autofocus is unstable and struggles to focus in low light, especially at macro distances". There is also some noticeable exposure and white balance "stepping" with sudden changes in light conditions. For a more detailed analysis, visit www.dxomark.com. The Amazon Fire Phone offers solid build quality in a compact package. It delivers very decent image quality with good detail and exposure across the ISO range. The efficient image stabilization reduces camera shake in low light and ensures smooth video footage. 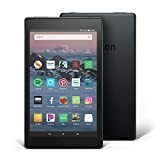 If the slightly unusual Fire OS operating system fulfills your mobile device needs and you can live with the bare bones imaging feature set the Amazon Fire Phone makes a very capable mobile photography alternative to the more established rivals from Samsung, Sony, Nokia and Apple. There are 38 images in our Amazon Fire Phone samples gallery. Please do not reproduce any of these images on a website or any newsletter / magazine without prior permission (see our copyright page). We make the originals available for private users to download to their own machines for personal examination or printing (in conjunction with this review), we do so in good faith, please don't abuse it. FULL DISCLOSURE: dpreview.com is a wholly-owned subsidiary of Amazon but both dpreview.com and connect.dpreview.com are editorially independent of our parent company. Lars Rehm is a freelance (external) contributor to both sites.